Greetings! 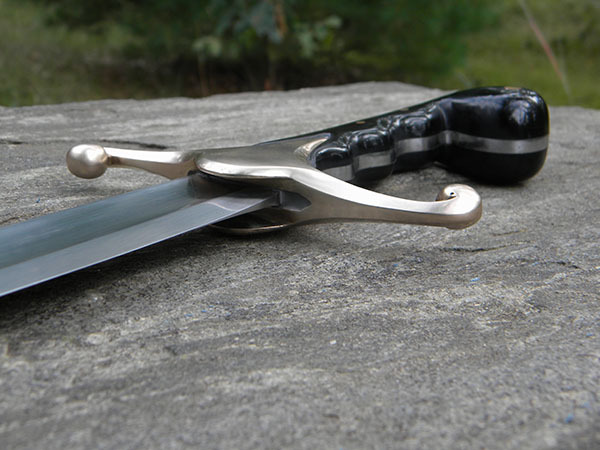 This past week I finished up a Kilij that I started a few years ago, originally this was intended as a commission but situations change and so I am offering this sword up for sale for $2000 shipped in the lower 48. This is quite a deal as if I were to make another one, the price would be significantly higher. 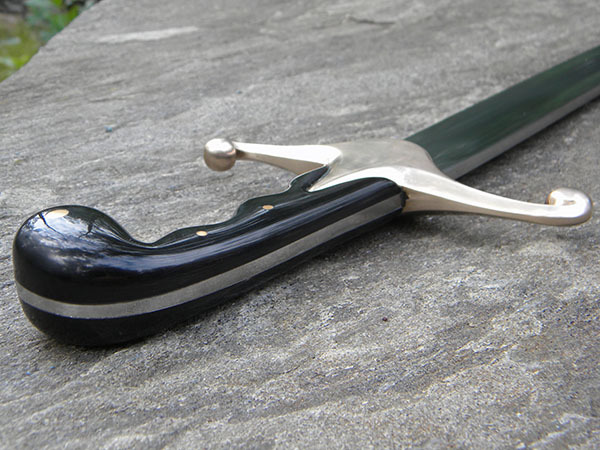 The blade is forged from L6, the guard is cast bronze, and the grip is water buffalo horn with bronze pins. 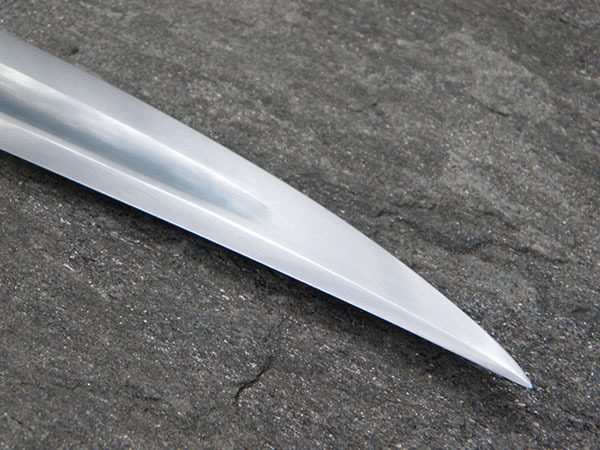 This is a pretty scary blade, very sharp, very fast, and a unique one of a kind item. 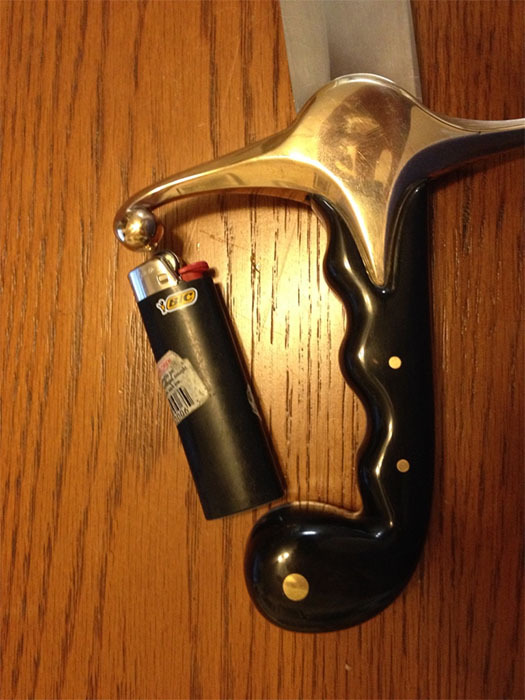 Everyone who has held the piece is amazed at how balanced and easy it moves. 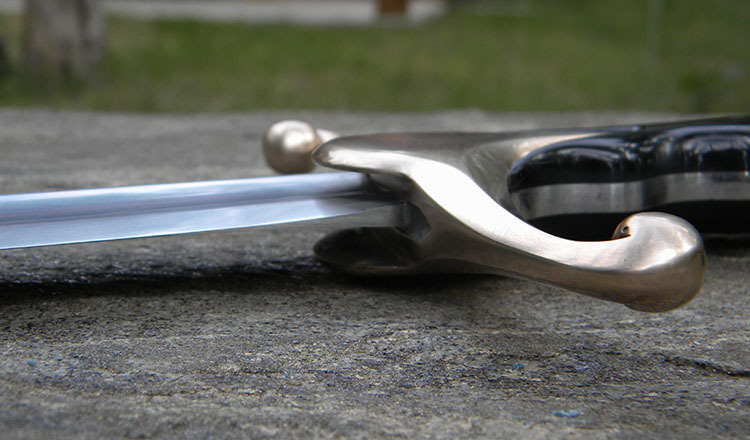 Here are a few finished pictures of the sword, and a link to the original thread. Please send me a PM if you are interested. Took ya long enough !!! the maker ... fashions something from the " curved " branch of the sword's evolution. Other than that ... congrats on a project finally accomplished ! How long is the grip? Hi Matthew, I completely agree on the timeframe, and some including myself would say it took too long. It was a very challenging project, just about every step of the project had a handful of firsts to navigate along with major life changes. Then again doesn't science say time is relevant? Excellent idea on some shots of the piece in hand, and they are being included in this post. Hi Karl, it is difficult to know where to measure the grip length from since it is nothing but curves. From the top of the knob at the bottom of the grip to the where the guard and grip meet is 3.375" and from the knob straight up it is 3.5"
I know that the shape and curvature of the grip makes this piece very unique, and while everyone who has held it loves the feel I am aware that it will be a highly individual preference. As such, and as with all transactions, if you make the decision to purchase the piece, and it doesn't fit your hand I would be happy to offer a refund upon return, no questions asked. 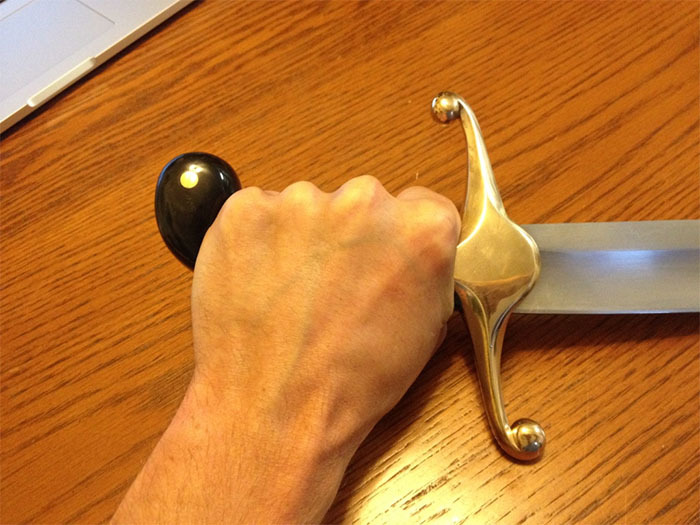 I have handled this sword a number of times, in various stages of completion, and would like to add something. This piece feels like a longer version of the Albion Reeve, or a stiffer, more solid version of the Poitiers or Lancaster. It's the first sword I ever felt like I could actually use in a real-time 'Zorro' move--carving a Z in something with the tip. 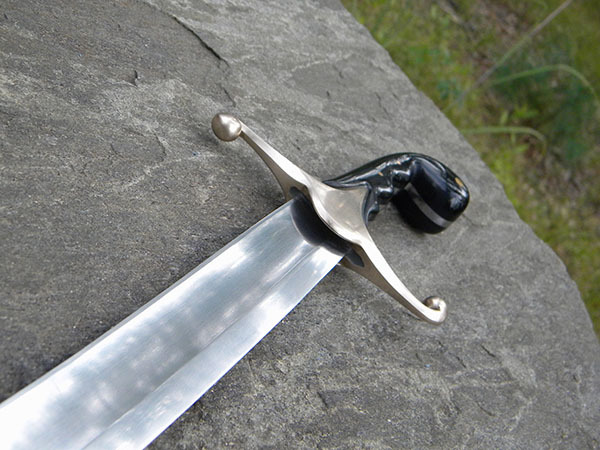 Thrusting would be quite easy, despite the curve, as the sword is not too extreme in this regard, and is fairly rigid overall. This sword is fast, fast fast. Light and stiff, my friend commented that it was the first time a sword ever looked sinuous in motion, the way they are sometimes described in various literary works. Scary sharp and beautiful to behold. 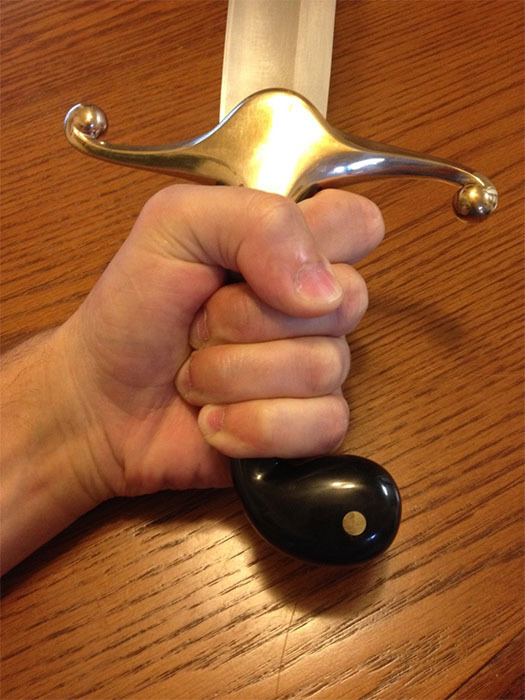 It does not bear the hilt or blade decoration so common to similar swords of this level, but this would be a fairly elite Middle Eastern or Anatolian soldier's weapon. It simply does what you want it to and goes where you want it to, and stops on a dime and will wait for your brain to make up its mind about what to do next. Thank you for the helping to describe the piece in hand Kai, I hope that anyone thinking about adding this piece to their collection finds it useful. The piece is still looking for a new home, and I am including shipping to the lower 48 states in the price of $2000. Thank you again for looking and if there is any additional information or specs that I can provide please feel free to reach out. 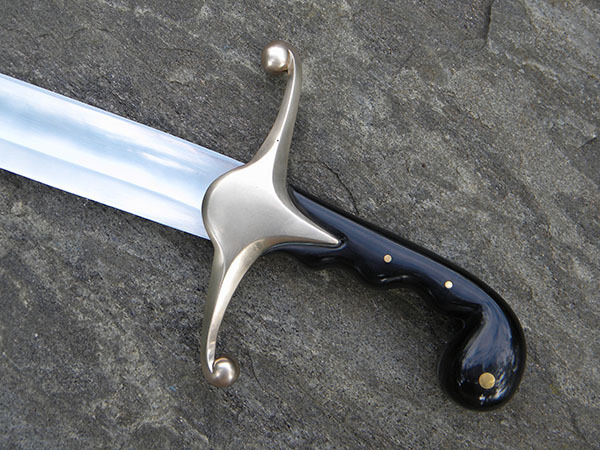 I have had a few inquires on the Kilij, but as of today it is still available. I am motivated to help the right person add this piece to their collection, if I can be of service please feel free to reach out. This piece is still available for sale. Thank you again for looking and have a wonderful week! I kept wondering how this piece still hasn't found a new home, and then I realized I broke my ritual of taking photos on the stone tablet! In keeping with tradition here are some additional photos of the piece. There also may be some speculation as to why this piece is for sale, after all the first post links it to a thread saying it was a commission! 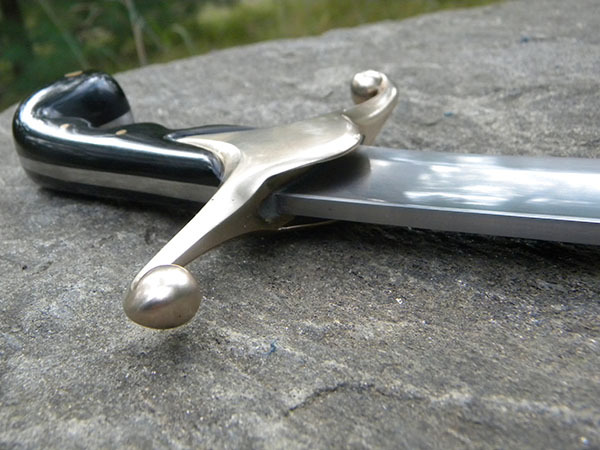 There were a whole lot of firsts in this project, a curved blade, a curved fuller, casting bronze, working with water buffalo horn, etc. The project started out great, the blade was a challenge and it was well met after countless hours. 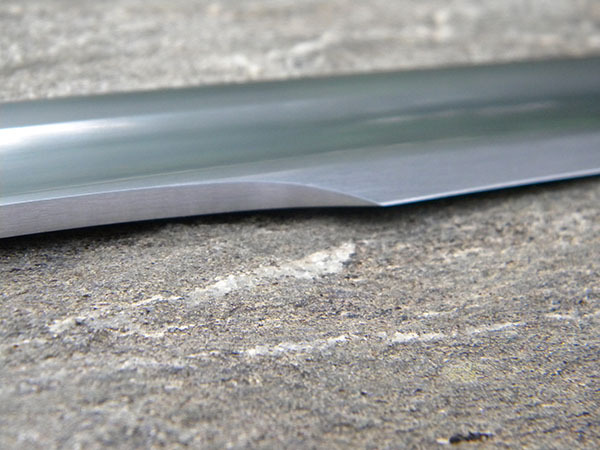 The blade is L6 and forged to shape, that means the curvature, the fuller, the edge, and most of the grip. The guard took me for a real spin! Besides for finding the right balance and weight, it was my first time casting bronze. The guard originally had some problems, and looking through my version of perfection it was not acceptable. I kept trying to refine some areas of the casting, taking one step forward two steps back, two steps forward, three steps back. After a while I was loosing hope and tried to find someone to make a mold and recast the guard professionally, but wasn't able to make it happen. I consulted some fellow makers and they said that the casting flaws were well within tolerance and I should run with it. That wasn't what I wanted to hear, so I kept searching for ways, and trying to get the guard to were I felt it was acceptable within the scope of the project. 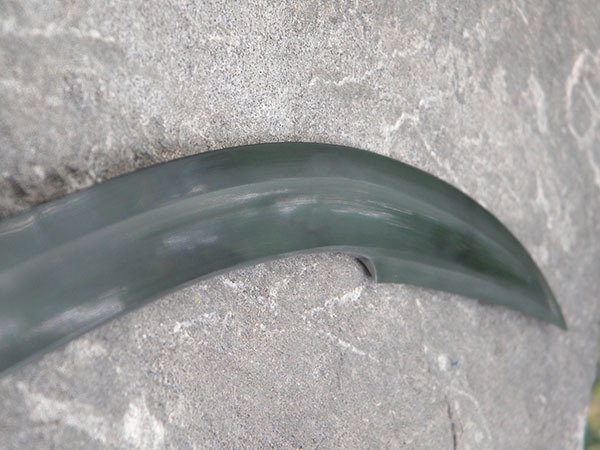 I was finally able to get a very consistent finish on the guard, it wasn't without any flaw, but I feel the marks were more character than true flaws. The individual commissioning the piece wanted a piece that they could cut and use as a functional piece. As time would have it, there was errors made on my end in terms of continuity of communication, and when the piece was completed the customer realized that the original had finger grooves which he did not want, and life events at that time would make it difficult to complete the purchase. I never want one of my piece to go to someone out of a sense of commitment, so I offered to post it for general sale. A lot of firsts, a lot of good lessons, and ultimately one heck of an amazing piece. If I can supply any additional information to any interested parties I would be more than happy to do so. Thank you once again and I hope you all have a wonderful weekend!